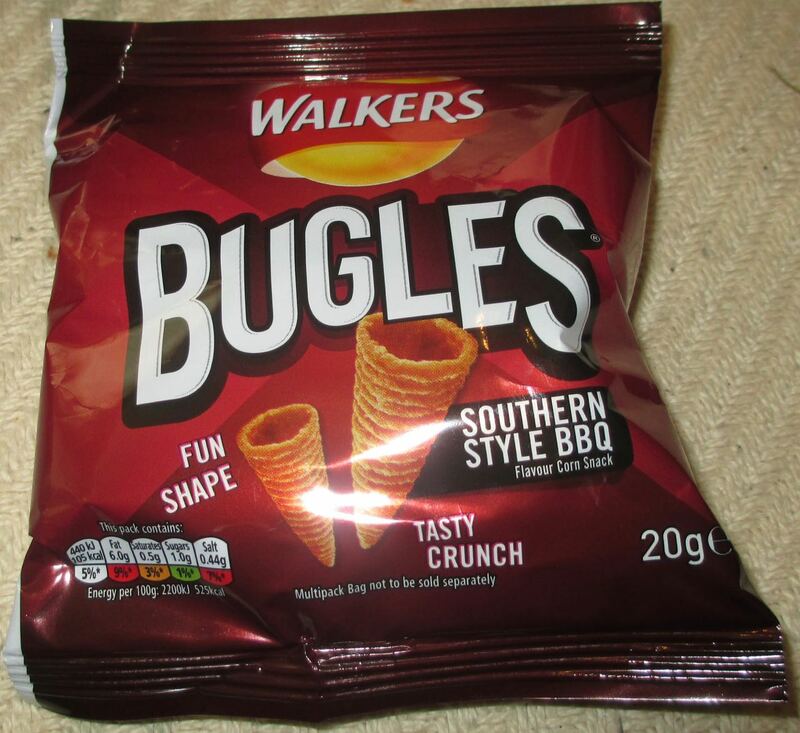 Walkers has released some new crisps for Summer called Bugles. I say crisps but as they are corn maize based and cone shaped I’m being a little lenient with the description. They are currently available in multi packs, but are all single flavour. When I first saw them it was this new flavour that got my attention, the idea of Southern Style BBQ sounded summery and appealing. The sun is shining and it is after all now barbecue season, if even I just intend to eat them at my desk at work… oh well. I opened up the bag and the shapes looked really fun. There were quite a few in the bag, despite it being small, and coming in at just 105 kcal so they aren’t too high. The cones are fairly thick looking and ridged in shape. I bit into one and absolutely loved the texture. They are fun to eat, they feel light yet crunchy and the shape works surprisingly well. The maize makes them feel very satisfying and flavour of this leaves a lovely creamy corn aftertaste. The Southern Style BBQ seasoning is fairly light in reality, but is still very tasty and has a good sweet barbecue flavour. There was a nice smokiness too, and a mild hint of spice. For me though it is the texture that wins me over and it was because of that they felt very moreish. I just so enjoyed crunching my way through these light and crispy crisps. I’m going to have to have a look for the other two flavours (Cheese and Sour Cream + Black Pepper) that have been released and stock up. The other flavours sound mild, but in reality I think that may give the maize flavour a chance to shine through. I believe these are originally from the states. 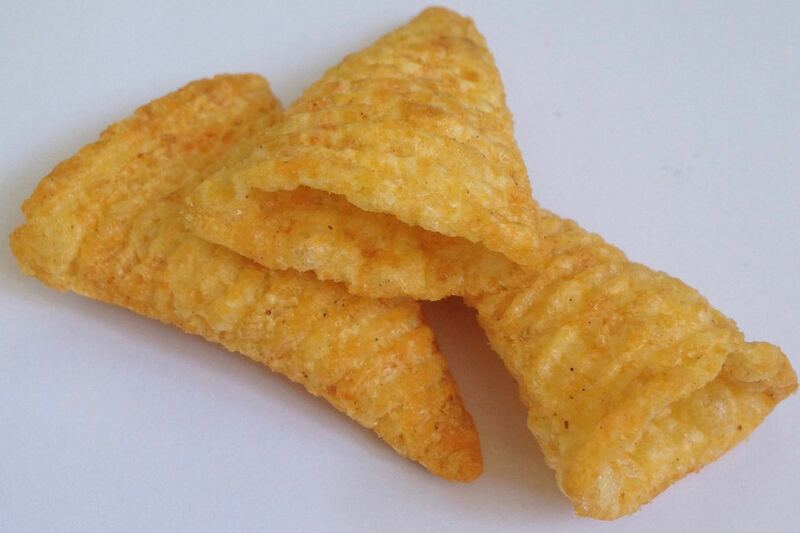 We've had Bugles as its own brand with tons of favors since the 70s at least. Nice to see them across the pond. Wonder what other favors will turn up..
Ah ok - we only recently got Cheetos in the UK!